Do not resuscitate order (DNR) forms are created for patients that do not want to be saved in the event their heart or breathing stops. This is generally the case for individuals with late stages of cancer or other advanced medical issues. The laws for withholding resuscitation are governed by each State and usually comes with the requirement that the patient authorizes the form along with their primary care physician, notary public, or witness(es). Signing Requirements – Must be authorized by the patient in accordance with State law. Advance Directive (Living Will) – Allows for a patient to create a do not resuscitate (DNR), choose their end of life decisions, and health power of attorney all in 1-document (sometimes referred to as an “Advance Directive”). 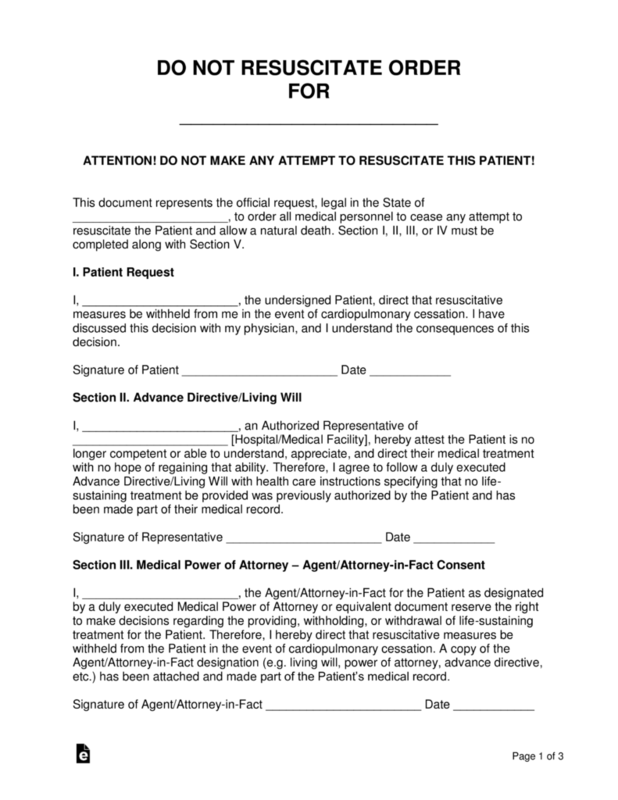 A do not resuscitate order, also referred to as a “DNR”, is for individuals that are terminally ill and do not want to be brought back to life via CPR, defibrillation, or other related options. This is common when a person is elderly or suffering from a health condition where there is no foreseeable path to a cured condition. 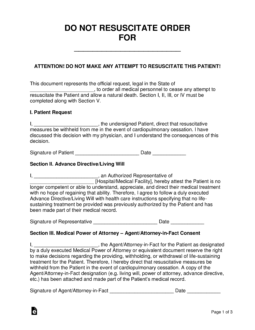 To create a do not resuscitate order, in most States, the patient will need to have the form signed between themselves, their physician, and witnesses (if required). A Do-Not-Resuscitate Order (DNR) is a medical directive to doctors and other first responders instructing them to withhold CPR treatment should a patient’s breathing or heart stop. Also called a “no code” or “allow natural death” order, the DNR is completed in conjunction with a physician, whose signature is required to implement it. 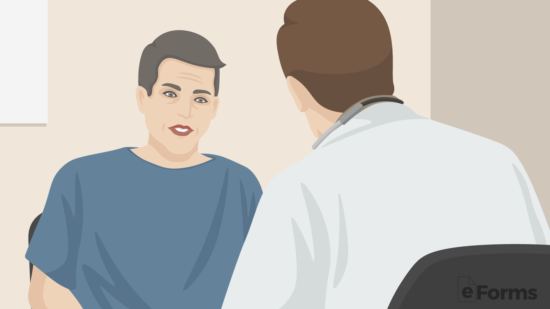 The form may be completed in the hospital or elsewhere, but should be filed with other medical records so that all caregivers are made aware of this intention. Since filing a DNR is literally a matter of life and death, the document affirms that the patient is of “sound mind” – that the decision to refuse CPR has been made by the patient voluntarily and with a clear understanding of its implications. Contrary to common misconception, the DNR is not a blanket declaration covering all medical interventions. It relates only to cardiopulmonary resuscitation. Other modes of treatment, including the provision of drugs and chemotherapy, testing, and the vast array of supports in the modern medical arsenal are generally excluded. A DNR should be part of a more comprehensive plan for medical care. Patients generally have the right to choose which treatments to accept and should be at the wheel in steering their own treatment process – but things can get more complicated if the patient is incapacitated or is otherwise unable to communicate with medical staff or family members. The best course is to formalize these more comprehensive care directives in a “living will” or “advanced directive.” See below for more information. Both patient and doctor should retain copies of the DNR. While a DNR should ensure that a patient is not given CPR in a hospital setting, it may not alter the course of treatment at home. To help ensure that the Do-Not-Resuscitate intention is conveyed, patients are often given a bracelet or other identifying article that would be visible to first responders and others in an emergency, non-hospital settings. A living will restrict a patient’s right to food, water, and assisted breathing in a terminally ill state and a do not resuscitate order restricts a patent’s right to immediate life-saving methods such as CPR. To revoke a DNR, speak with your doctor. In addition, you should destroy any documentation that asserts the DNR, including bracelets, wallet cards, or other indicators that might be found by emergency personnel. 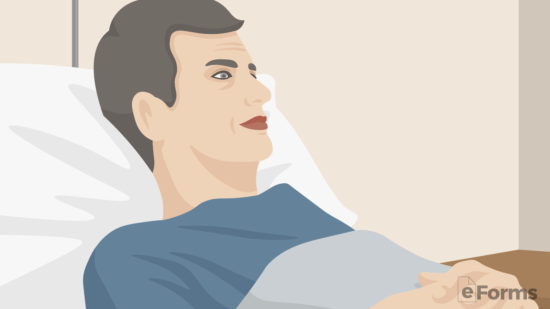 A do not resuscitate order is required to be authorized in accordance with State law. You can access this document directly by clicking the “PDF” button (or link) above. If you wish to use a word processing program, then you may also select the “Word” or “ODT” buttons or links. Keep in mind that you should download the file that is most compatible with the environment in your computer so that you can edit information on screen when preferred. You may print this document using your browser to open the PDF version. Regardless whether you fill in the information requested onscreen or manually, this paperwork must be printed and signed by several parties so that it may be taken seriously. Once you are ready to fill out this form, fill in the full and legal name of the Patient this order concerns on the blank line in the title (following the word “…For”). Locate the first blank line in the introduction then, fill in the state where the Patient lives and this order is governed. The first item, titled “I. 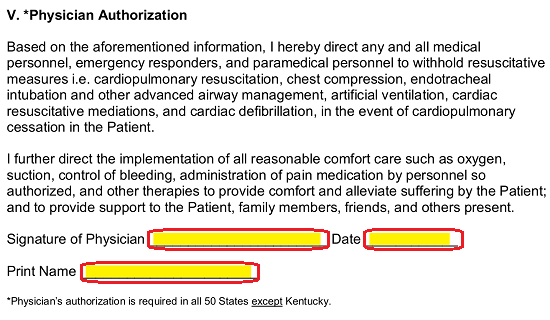 Patient Request,” must have the full name of the Patient provided to the blank line preceding the term “…The Undersigned Patient…” Make sure this name is presented exactly as it appears in the title. When it is time for the signing, the Patient must sign his or her name on the “Signature Of Patient” line and document the current calendar date on the “Date” line. These actions should only take place before the Signature Witnesses and the Notary Public overseeing this signing. The hospital, medical facility, or health care institution charged with the patient’s care must indicate its receipt and understanding of the Patient’s directives. The first blank line in “II. Advance Directive/Living Will” requires the full name of this institution’s Authorized Representative. The legal name of the hospital or medical facility will need to be documented on the second blank line in this section. 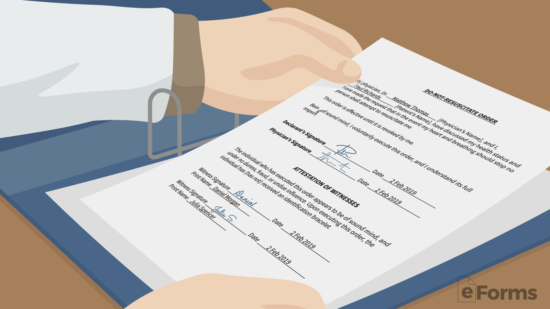 The Authorized Representative must sign the line labeled “Signature Of Representative” in this section before the Witnesses and Notary Public. Additionally, he or she must supply the signature date on the adjacent blank space. 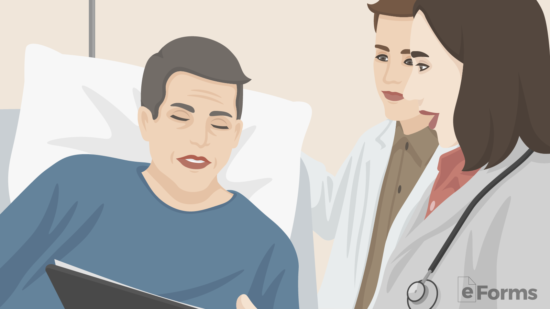 The Patient’s Directives will, in most cases, name a specific entity with the power to make decisions regarding the Patient’s medical treatment or care when he or she has been rendered incommunicative. This party’s participation will be required in “III. Medical Power Of Attorney – Agent/Attorney-in-Fact Consent.” First, his or her name should be input to the first blank line in this section. Note: The Attorney-in-Fact’s name must be reported precisely as it was recorded in power document. The next blank line, “Signature Of Agent/Attorney-in-Fact,” must be signed by the Agent named above. He or she must supply this signature before the two Signature Witnesses and Notary Public arranged for this signing. Once he or she is done signing this area, the Attorney-in-Fact must immediately enter the current date on the adjacent line. The next entity that must participate in this document’s execution is the elected Health Care Surrogate. Locate the blank line before the words “…The Surrogate Certified To Make Decisions” in the section titled “IV. Surrogate Consent,” then enter his or her name on this line. 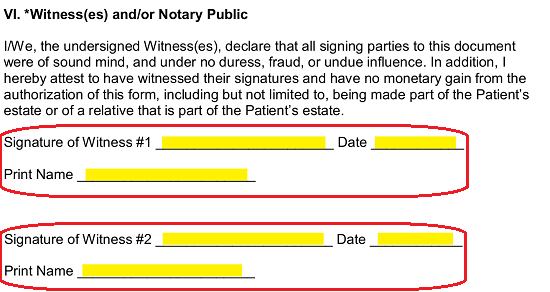 The Health Care Surrogate is required to sign his or her name in acknowledgment of the above statement in the presence of the two Witnesses and Public Notary viewing this execution. In addition, he or she must use the “Date” line to report the signature date. In “V. Physician’s Authorization,” the language required to provide the Patient desired Physician directives has been supplied. This section, as well as all others, should be reviewed carefully by every signature party before the signing of this paperwork. The Physician must sign and print his or her name on the blank lines labeled “Signature Of Physician” and “Print Name” (respectively) then record the current date on the space labeled “Date” to formally issue these orders. Once all the sections above have been satisfied with information and signed by the required parties, this paperwork should be surrendered to the two Witnesses who have physically observed each of the Signature Parties above sign their names. Two separate signature areas for Witnesses have been included in the “VI. Witness(es) And/Or Notary Public” section so that each Witness will have his or her own area to work with. Keep in mind, that different states will have different requirements on who can serve as a Witness and how many are required for this paperwork. It is recommended that you are fully abreast of such requirements in your local government before issuing this document. 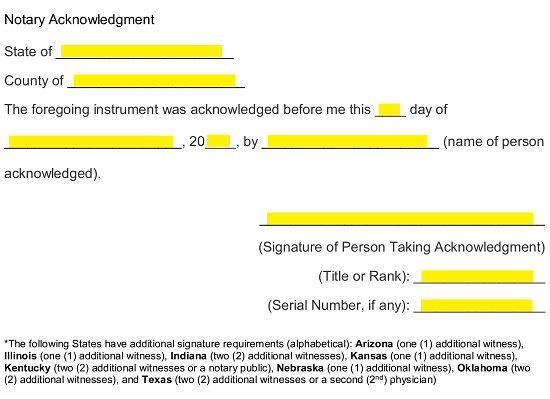 If more room is required, you may either use an editing program to copy and paste one of these signature areas for additional Witnesses or simply provide an attachment. Make sure to refer to each additional Witness sequentially (i.e. Witness #1, Witness #2, Witness #3, etc.). Each Witness must select a Witness Statement, read the paragraph provided, then sign the “Signature Of Witness…” line, print his or her name on the line below it, and supply his or her signature date on the adjacent line. After each Witness has supplied the items above, this document should be turned over to the Notary Public who will then verify the signature parties present, the date, and the location through the process of notarization.